Medical assisting is a rewarding career path for those interested in the health care field and having direct relationships with patients. These professionals work under the supervision of doctors to deliver specific elements of patient care, such as taking vital signs and preparing patients to be examined. Not all states offer guidelines or rules on medical assisting, but the South Dakota Board of Nursing has offered clearly defined guidelines for how medical assistants perform their jobs in the state. First and foremost, working as a medical assistant in South Dakota requires specific training. For more information about this career-including programs available, the state-mandated scope of work and the salaries that can be earned-read on. Students interested in beginning a career may be up against some tough employment competition, but with a degree in medical assisting, students will be able to greatly increase their chances of post-graduation employment. A good medical assisting program will prepare students for both the clinical and the administrative side of working in a medical setting, making them a well-rounded asset to any employer. By looking at overall tuition cost and student graduation rate, we’ve put together a list of South Dakota’s best programs to make finding the best schools a bit easier for students. 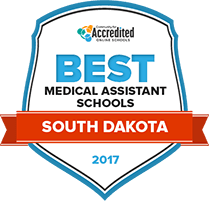 Check out below for the best medical assisting programs offered in South Dakota for 2017. The associate of applied science degree program at Lake Area Technical Institute is a 20-month program that includes both a supervised externship and competency-based instruction. The program, which is accredited by the Commission on Accreditation of Allied Health Education Programs, prepares students to take the national certifying examination. Students will learn how to perform office and administrative duties, as well as clinical responsibilities such as assisting in emergencies and sterilizing equipment. Students will have access to the bookstore and library, as well as to academic advising, counseling, disability services and career services. Graduates of the Western Dakota Technical institute will leave the medical assisting program with the skills and knowledge needed to enter the workforce right away in a wide range of settings. The program, which takes four semesters to complete, results in an associate of applied science degree. Prospective students are invited to visit the campus and participate in an open house, as well as to take advantage of several career exploration camps. Some students can earn dual enrollment credit, and once they're enrolled, participants will receive assistance from a Student Success Coach from the moment they enter until graduation. The Mitchell Technical Institute boasts a perfect 100 percent job placement rate for graduates of the medical assistant program. The program prepares students to perform both clerical and clinical duties in a variety of medical-related environments, such as doctors offices and clinics. Students will receive academic advising services, as well as counseling services, should they require them. There are job opportunities for students during their time on campus, and career services resources help them secure employment after they graduate. The Center for Student Success includes tutoring and other help with coursework, as well as internship selection and disability services. How does South Dakota define "medical assistant?" 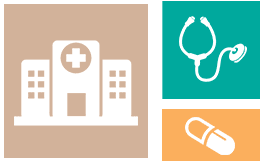 The state defines a medical assistant as a multi-skilled worker that contributes to all aspects of patient care under the supervision and responsibility of a licensed medical doctor. They assist with patient care and practice administrative and clinical procedures. South Dakota does not require certification for medical assistants, but they do require registration with the Board of Medical and Osteopathic Examiners. Medical assistants can earn a certification voluntarily. The Certified Medical Assistant (CMA) is provided by the American Association of Medical Assistants and the Registered Medical Assistant (RMA) is issued through American Medical Technologists. To become registered in South Dakota, medical assistants must have graduated from an accredited school or a school that can meet similar standards to an accredited school. What tasks are medical assistants in South Dakota allowed to perform? South Dakota law delineates the specific tasks that medical assistants are allowed to perform. The following is a sample of those duties. The table below compares salary information for medical assistants in South Dakota to the national averages. This information comes from the U.S. Bureau of Labor Statistics. The amount of money that medical assistants earn depends in part on what geographic area they work in. The following includes information about salaries in different parts of South Dakota. South Dakota medical assistants can expect to see an increase in job openings in the next several years. The following table provides information on the projected growth in the state, as well as the national averages. Enrolling in a medical assisting program in South Dakota provides the training professionals need to find a job at hospitals, clinics, or doctor's offices. The following are examples of schools where students can gain the knowledge and skills they need to enter the field. This program teaches students both the administrative and clinical aspects of the medical assisting profession. From an administrative perspective, students learn how to complete office work in a health care setting and greet patients professionally. The clinical component teaches how to complete tasks like cleaning medical instruments and preparing patients for their doctor examinations. Students are required to complete a 240-hour externship. This program provides classroom instruction and hands-on training through simulation labs and internships. Coursework includes topics such as medical terminology, laboratory procedures, basic life support, and medical office procedures. In addition, students can take electives in subjects such as English and social science. Students who enroll in this associate's degree receive competency-based training that focuses on clinical and administrative skills. The program covers subjects such as patient interviews, phlebotomy, transcription and coding, and maintaining patient records. A supervised externship is also required. This is the body that provides certifications to medical assistants around the country. Those who want to earn a registered medical assistant credential obtain it through this organization. The South Dakota Department of Health provides comprehensive information about the medical assisting profession. This association provides support for medical assistants around the state.